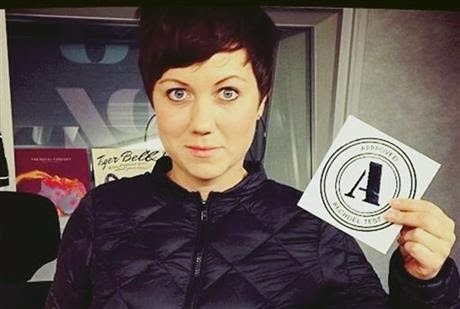 Folkets Bio in Sweden ( film exhibitor and distributor) puts an A symbol next to films they screen that feature two women or more who speak about something other than men! Bravo! 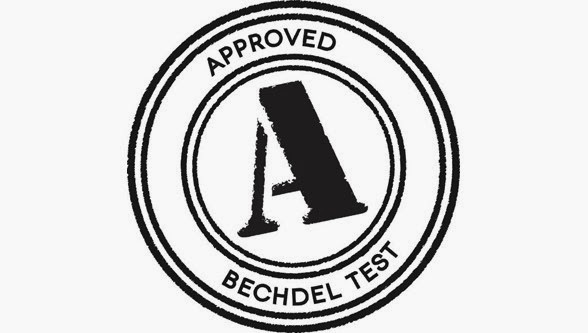 This test was invented by graphic artist Alison Bechdel. Age old arguments by skeptics and cynics will do nothing to change the situation and just assures it will continue. Sweden does not have "gender madness" as Swedish mathematician Tanja Bergkvist asserts- - there is gender equality and if that is madness more of it! The two critics seem to forget the goal of this program: movie watchers rarely see "a female superhero or a female professor or person who makes it through exciting challenges and masters them... The goal is to see more female stories and perspectives on cinema screens." Most of Bio Rio's audience (Stockholm cinema house) is young, and the critics seem to belong to another generation that expect equality to jump out of a hat like a magic rabbit. The point is also not that a Harry Potter film or a Bigelow film doesn't pass the test: the point is getting people to think and this is a great incentive. "Here we are sitting and talking....about something other than men." 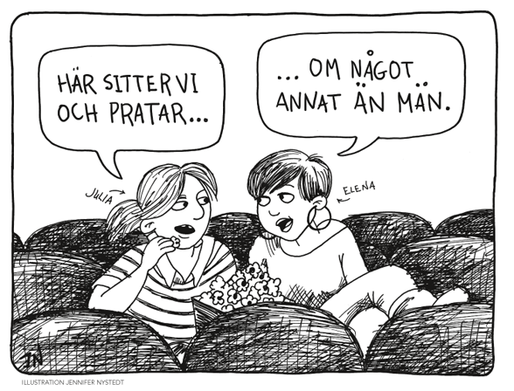 A mark on films shown in Sweden from Alison Bechdel, graphic artist.